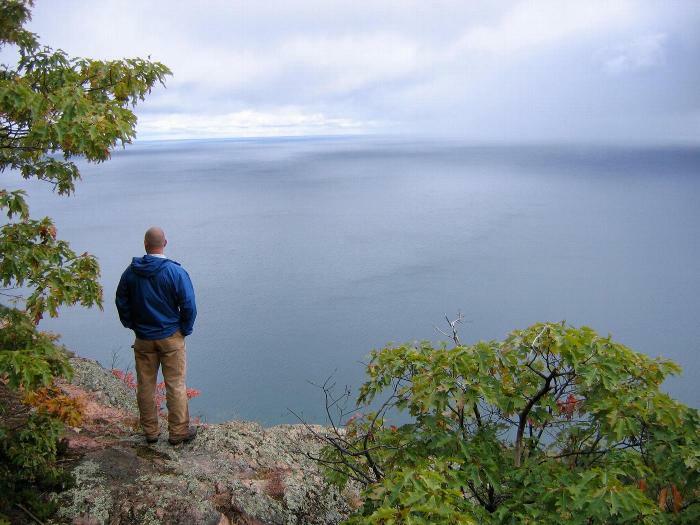 The sanctuary contains most of the top of a 588 ft. high monolith known as Bare Bluff which rises from the shore of Lake Superior on the south shore of the Keweenaw Peninsula. From the clearings on the top of the bluff, a popular 180 degree spectacular view opens from Manitou Island to Point Isabelle to Bete Grise. 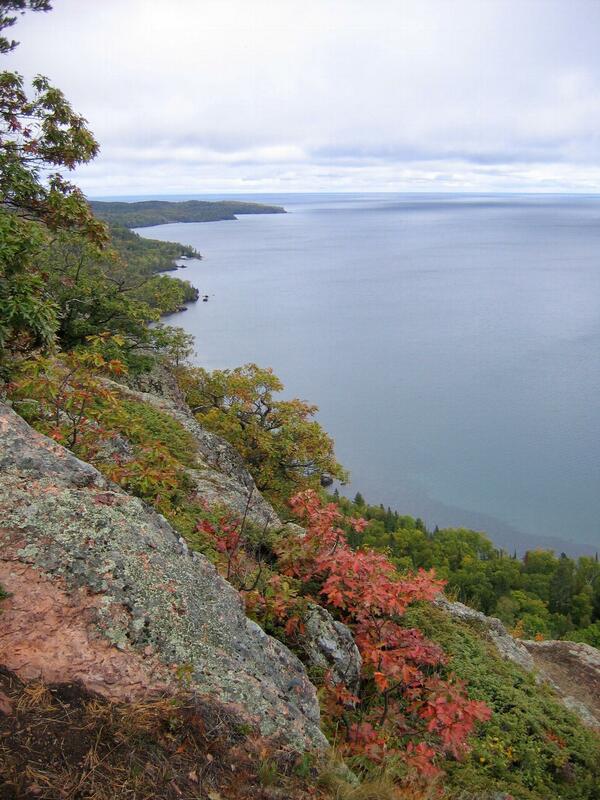 This bluff is the most prominent feature on the south shore of the Keweenaw Peninsula. The sanctuary contains stunning geological features including exposed cliffs, bluffs, and rocks as well as a substantial amount of intact forest among a much larger forested landscape for wildlife. The bluffs provide warm air drafts for raptors to catch during migration. Access is difficult and dangerous. Reaching the lookout requires a 300 foot climb, but both the lower and upper level are accessible with proper preparation and caution. The sanctuary is named for Russell and Miriam Grinnell, both of whom served on the MNA Board of Directors. Their home on Williams Lake in Oakland County often served as a meeting location for MNA. Russell was a civil engineer with the City of Birmingham and with Oakland County. He was a community leader with wide-ranging interest in music, politics, civil rights, geology and nature. Miriam was a landscape architect who was also active in the peace movement and volunteered for several international goodwill organizations. She was also an MNA field person and explorer first assisting with work at Timberland Swamp.